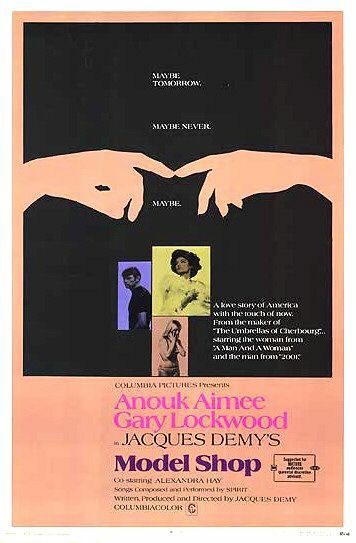 This entry was posted in films and tagged Anouk Aimee, Don Draper, Gary Lockwood, Jacques Demy, Mad Men, Matthew Weiner, Mode Shop, movie review. Bookmark the permalink. As usual, Mad Men gets it right. Got to check out Model Shop ! The Umbrellas of Cherbourg is not like any other movie I’ve seen, they sing every line and yet every scene unfolds naturally. A story of life’s complications winning out over romantic love, told without melodrama. Breathless and Contempt are legit classics, but otherwise don’t waste time on Godard. Coming attraction: Mike’s 50 favorite French films.